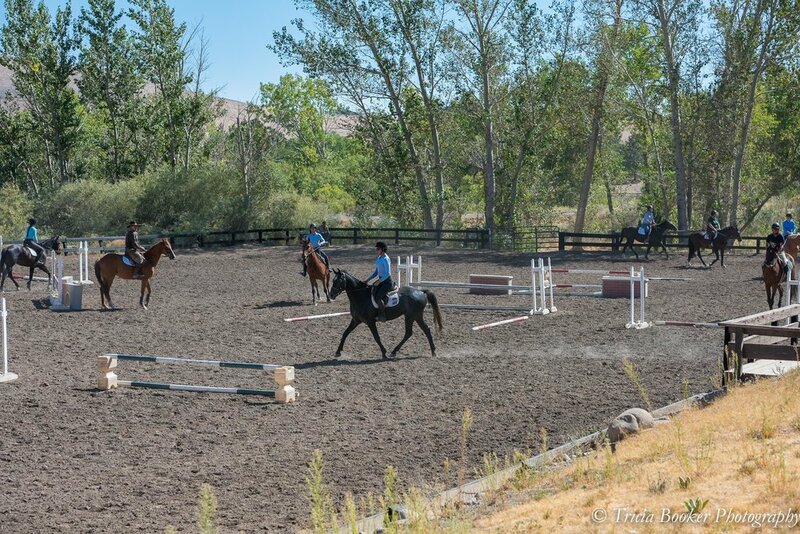 The Maplewood Stables Horse Industry Training Program, owned and operated by Julie Winkel, received permanent licensing in 2017 from the Commission of Postsecondary Education, the licensing authority for the oversight of private postsecondary educational institutions operating in Nevada. Maplewood’s Horse Industry Training Program is a comprehensive, hands-on program that encompasses a wide variety of opportunities for students, including classroom lectures, clinics with leading industry professionals, daily riding lessons, stable management and horse care. Students are involved in all aspects of Maplewood’s wide-ranging equestrian business, which includes a sport horse breeding operation that stands two top grand prix show jumping stallions, breeding management, foaling, young horse training and sales. In addition, Maplewood’s extensive annual calendar of events ensures that students have the opportunity to learn and become involved in event management, children’s summer camps, managing horse shows, hunter/jumper course design and judging. Through these events, students are also able to assist with promotion, marketing, public relations and management for a well-rounded and thorough experience in all aspects of an equestrian business. Maplewood's students study and work in the business six days per week, and those who complete two or more years in the program will have assistance in finding a job in the industry. Tuition is $1,000 per month per student, and the course is for a minimum of 24 months for a total tuition amount of $24,000. Additional months may be required in order for the student to complete the program and can be added on to the course at the discretion of the director. Tuition includes onsite student housing, all instruction and materials. Tuition also includes student access to facilities, horses, trailers and all other equipment necessary for the student’s training at the facility. Tuition payments are to be made in advance for each six-month increment. Congratulations to recent Maplewood graduates who completed our two-year Horse Industry Training Program!